PLEASE RATE THIS PRODUCT IF YOU DOWNLOAD. THANKS FOR THE SUPPORT! 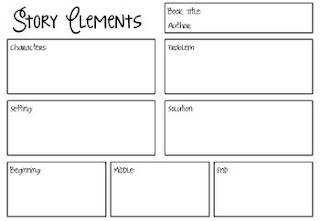 This is my new version of the story elements graphic organizer. Use this as a way to easily assess your student's understanding of the elements in a story they are reading.